Steyr Daimler Puch.6x6.All variants.Maintenance Schedule. 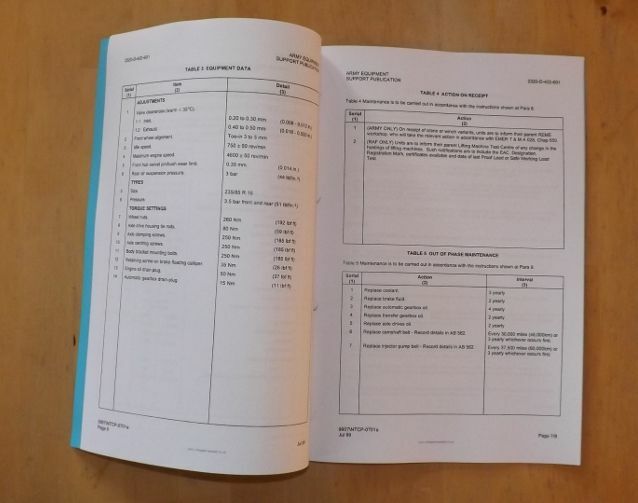 Home > Vehicle Manuals > Pinzgauer. 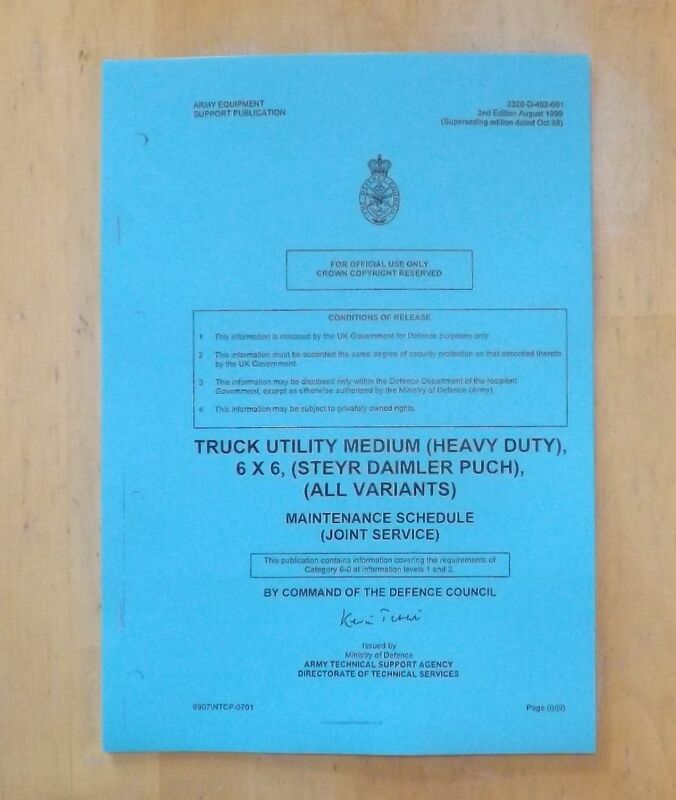 Truck utility medium, (Heavy duty), 6x6, (Steyr Daimler Puch), Maintenance schedule. AESP 2320-D-402-601. 2nd Edition August 1999. 1st generation copy.Card covers.Staple bound.